almost a quarter of Innsbruck’s population are students? almost anything in Innsbruck is within 20 minute walking distance or a 10 minute bike ride? Innsbruck and the surrounding areas offer a variety of cultural highlights and sporting activities year round? nature can be experienced in and in direct proximity to the city? international sport events regularly take place in Innsbruck? Innsbruck, the capital of Tyrol, offers a special mixture of urban flair and impressive nature thanks to its geographical location. The city is situated in the middle of the Alps and attracts its inhabitants (Tyrol: approx. 740,000, Innsbruck: approx. 133,000, students: approx. 35,000) with a breath taking panorama and a wide range of different activities. The capital of Tyrol provides a high quality of life and invites you to feel good and relax. Innsbruck is where city and nature as well as tradition and modernity meet. Innsbruck shows its urban character in many different ways: from a first-class transportation network, numerous cultural activities, entertainment possibilities and shopping facilities, to traditional or alternative restaurants and bars. Nature lovers and sports enthusiasts have countless possibilities as well. 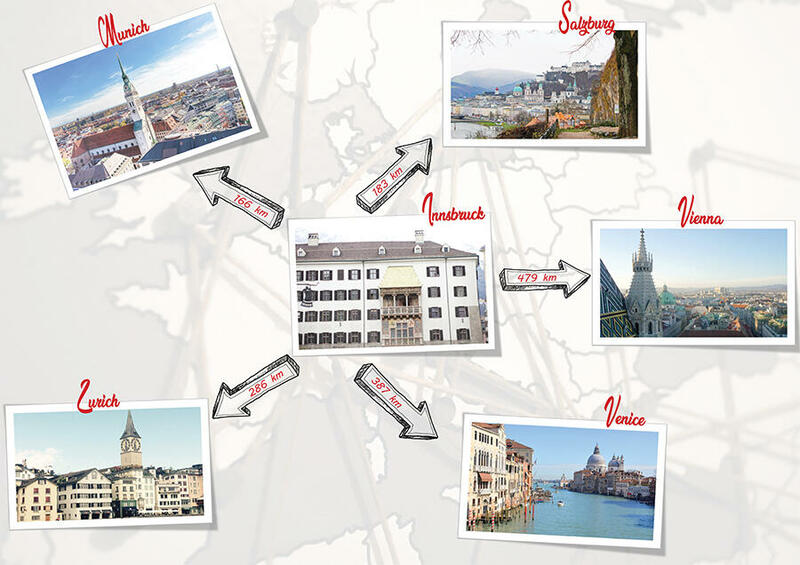 Innsbruck and its surroundings – i.e. parks, forests, lakes and mountains – invite you to go hiking, climbing and skiing. Every season has its own special charm and offers a wide variety of sporting activities. Innsbruck has also been the venue for countless international sports events.